There is no doubt that MS Windows 7 is much faster than MS Windows Vista, as a proof of it huge number of tests you can find in web . In reality, OS loading speed as well as software launching time is what regular user mainly notices first. It is more specific to notice and benchmark performance improvements in applications and games while this performance differences is not measured in tens of percents. Another question is does it really have significant performance differences between Windows 7 32 bit version and 64 bit version? From my subjective experience I can say, 32 bit version is slightly faster in launching of the programs, although there is no evidences seen in tests below. Still there are legitimate concerns that running 32 bit software on 64 bit OS might lead to some performance fall, because in order to run 32 bit programs emulator (Wow64) is used. In some sources you can find that this performance fall is measured up to 2% only. With Windows 7 64 bit ability to use more RAM (more than 3Gb), you should concern that addressing also become longer (address to memory area). This might be an issue, what OS run out of RAM and virtual disk (swap) is used, and amount of information transferred from / to hard drive will be larger than in case of 32 bit OS. Some sources claim that for 2Gb RAM usage, in 64 bit OS will consume up to 300 – 400 Mb more. Fortunately there are some pros as well. With a 64 bit bus amount (and speed) of transferred information will grow. More over extra registers in CPU can be used for operations. I have noticed very interesting issue with Windows Experience Index, where one of benchmark parameters (memory operations per second) in Windows 7 64 bit is lower than in 32 bit. Till now I was unable to find reasonable explanation. Two identical Hitachi hard drives are used in tests. Even I had suspected that 64bit windows are slower, there is no evidences seen in tests. Hard disks had similar characteristics. There are no write tests. I have noticed also, that Total Commander (32bit program) works very slow on copying of small files while working on Windows 7 64bit. I made some benchmarks on CPU, RAM, GPU and .NET multimedia. With the test methodology you can get acquainting in SiSoft Sandra web page . I would not say developers generously wrote about it. CPU performance did not bring any surprises, as expected significant growths of performance were running cryptographic algorithms. That can be explained with ability for 64bit to use extra CPU registers. Significant success was also with multimedia benchmark. Slight performance drop was with RAM and GPU. I would like to hope, that in real life running compound programs summary performance improvements will give noticeable performance jump. 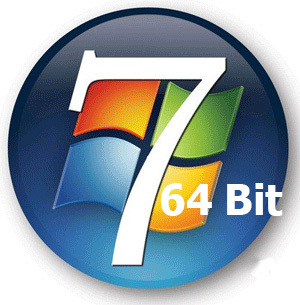 64 bit OS has future if software developers will create more 64 alternatives. Very interesting web is http://www.start64.com. As it can be assumed – developers of compression and multimedia software can shine placing out 64bit their software products. Still I was confused, there is no 64bit alternative for VLC player. LimitApplied Friendly="Physical memory available to the OS is less than 4.0GB-64MB on a 64-bit OS : limit mem score to 5.9" Relation="LT"
nice find. Can you perform a boot time comparision between the 32bit and 64bit too ? Use PaePatch on the 32 bit win 7 and post results. i force instaleld windows 7 drivers in windows xp 32 bit from windows 7 64 bit using a a method with a VERY hacked drivergenius software. it moved so fast that it was processing liek the clock frquency was multiplied by 6. it ran a hell of a lot cooler. the problem with this comparison is that 64 bit will use 4gb of ram while the 32bit will only use 3.7 ish.